0:00 With the Pro Recorder features you can draw and zoom in to magnify part of the recording area while you are recording. 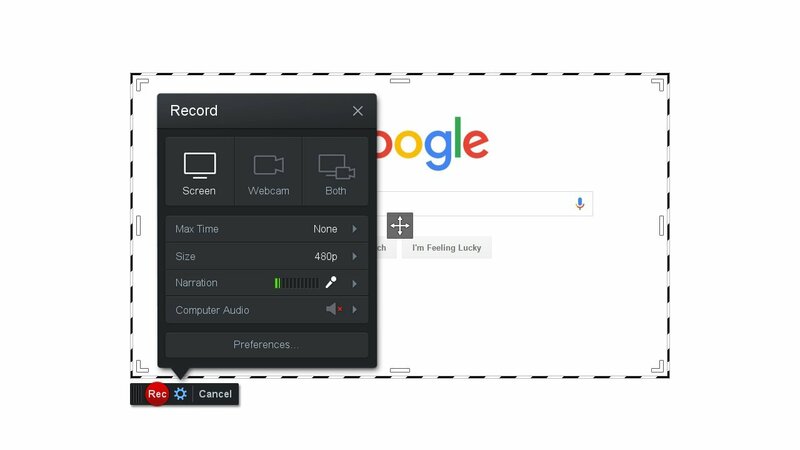 0:08 To use the tool you first start the recorder by clicking the Rec button then you can switch into Draw & Zoom mode either by clicking the Pen icon if you are not recording fullscreen OR by using the hotkey which by default is Alt+D on windows or Option+D on mac. 0:27 You can customize the hotkey by clicking the Preferences... button before you start recording. 0:33 Once you are in Draw & Zoom mode the underlying screen video will freeze so you can draw by clicking and dragging the mouse. 0:42 To choose a different color you can press the C key or click this box to select a new color. 0:51 There are a number of different tools you can use to draw with which you can choose by clicking here OR you can use the number keys on your key board. For example pressing the 5 key on your keyboard will switch from the free hand tool to the Oval tool. 1:07 To erase drawings press the E or Delete key or click the Erase option here. 1:15 To zoom or magnify you can double click the mouse on the spot you'd like to center the zoom on like this. 1:22 If you double click again then it will zoom in even more. 1:26 When you are zoomed in you can use the arrow keys on your key board to nudge the zoom up, down, left, or right. 1:34 To zoom out, hold down the Ctrl key or the Command key on the mac and click anywhere on the screen. 1:41 When you are done drawing and zooming you can press the Pen icon again or press the hotkey or the Esc key. 1:49 We've included a help cheatsheet to see the keyboard short cuts which you can see by clicking the question mark icon here.